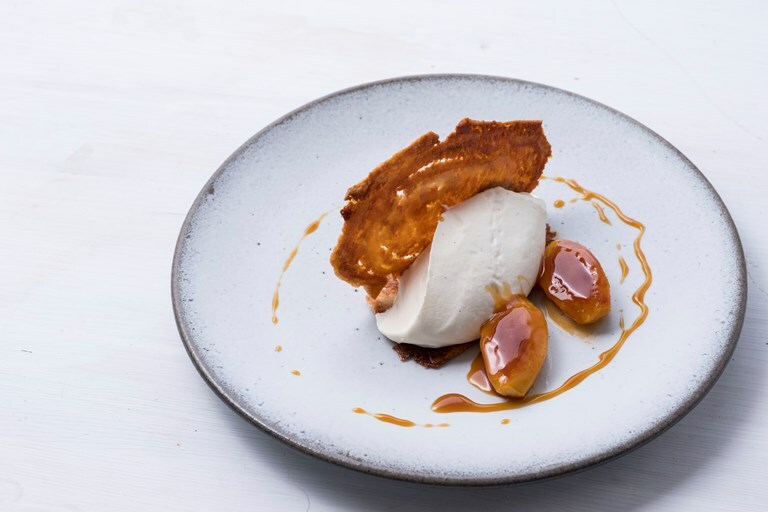 Pierre Koffmann serves up a stunning dessert inspired by the produce of South Tyrol, with ricotta-flavoured crème diplomat and caramelised apples flavoured with a local dessert wine. Arlettes add a classic French touch to the dish. Pierre Koffmann's cooking is undeniably refined; classical yet humble, with provincial French touches grounding the skilful elegance of the food. Taking inspiration from his Gascon roots, Pierre artfully extracts extraordinary flavour from ordinary ingredients and cuts.